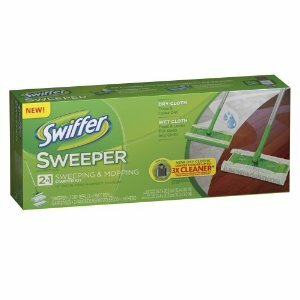 Swiffer Sweeper 2-in-1 Mop & Floor Cleaner Starter Kit just $8! Amazon has the Sweeper 2 in 1 Mop and Broom Floor Cleaner Starter Kit for just $7.99 (reg. $16)! Shipping is free with Prime or on orders of $25 or more! HURRY! FoodSaver MealSaver Vacuum Sealing System just $10 Shipped! 40% Off Fisher Price Little Superstar Sing-Along Stage – Just $30 Shipped!